There's no doubt that the construction of the XL Keystone pipeline will be a huge boon to the North American energy industry. Proponents assert that the implementation will ultimately create thousands of permanent jobs, bolster U.S. manufacturing and reduce the price of crude oil. Those opposing the pipeline assert that it will cause a number of harmful environmental effects. 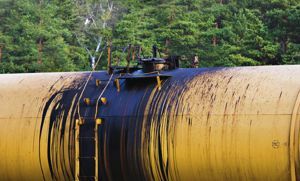 IndustryWeek noted that the House voted 270 to 152 in favor of the XL Keystone bill, sending the bill to President Barack Obama, who is expected to veto it. However, if the president defies popular assumption and passes the bill, TransCanada would be allowed to commence operations to build the 1,179-mile pipeline. It it is likely that President Obama will uphold the continuity of a review process that will assess the XL Keystone's environmental and economic impact. "The president has been pretty clear that he does not think circumventing a well-established process for evaluating these projects is the right thing for Congress," said White House spokesman Josh Earnest, as quoted by the source. A number of legislators (the majority of whom are Democrats) are against the construction of the XL Keystone pipeline due to the processes involved with extracting oil from tar sands. National Public Radio spoke with Susan Casey-Lefkowitz, director of programs at the Natural Resources Defense Council, who maintained that the XL Keystone pipeline would encourage operations that generate more greenhouse gas emissions than conventional drilling. "When we talk about the Keystone XL tar sands pipeline, what we're really talking about is our choice between dirty energy and clean energy," Casey-Lefkowitz told NPR. "This is about a pipeline that will carry a lot of some of the world's dirtiest oil and cause expansion of the tar sands, but it's also about our energy choices." Proponents of the Keystone XL pipeline assert that oil expenses will decline as a result of the implementation's construction. However, Forbes contributor John Tamny maintained that this assertion isn't grounded in fact, and that the price of oil is rooted in the activity of the global market as a whole. In regard to the environmental and safety case, Keystone XL supporters have asserted that the pipeline will reduce the use of oceanic shipping and rail, which both pose dangers if accidents should occur. This argument is well-supported, especially in light of incidents such as the Lac-Megantic rail disaster.